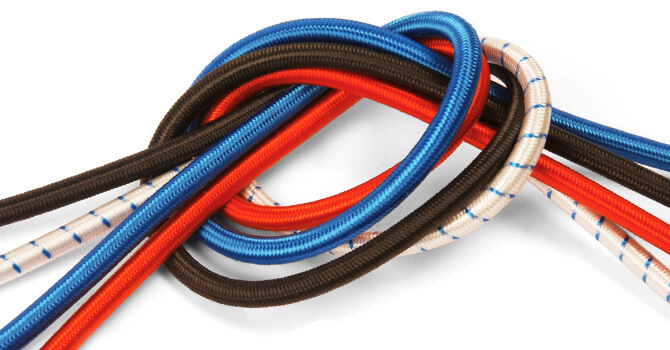 Shock Cord with its multi-filament rubber core offers incredible stretch characteristics, with a 100% stretch polyester braided cover to give good abrasion resistance. Light weight and strong this rope is ideal for activities such as caravaning, boating, outdoor leisure and a wide range of general purpose uses. Often called bungee cord. Priced to buy per metre in a range of rope diameters and colours to suit your requirements.